Owning a Beaglier puppy is a lot like looking after a baby in that your daily routine will be disrupted by times of feeding and dealing with toilet issues. The good news is that toilet training a puppy can be done a whole lot quicker than getting your kid on the potty, but there are going to be some times of frustration ahead of you. Things go a whole lot quicker when you remain consistent in your puppy toilet training, and there are a few tips and tricks that you can follow to make the whole process appear quite straightforward. 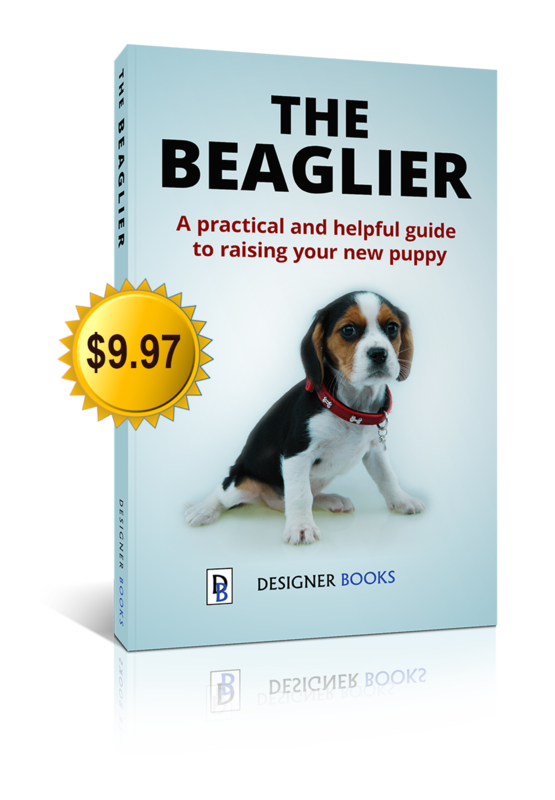 The first thing that you need to understand when toilet training a Beaglier puppy is that these little guys need to go a lot, and you seldom get much in the way of a warning. As soon as they wake up from a sleep and right after they eat is when they will most likely need to go out and do their business, but you can almost guarantee that they will need a little trip outside at least once per hour or so, even a visit to the toilet during the night. Be prepared for your sleep pattern to be disrupted a little for the first few days, and also get ready to spend a good portion of your day watching for your puppy to give signals that he needs to go potty. 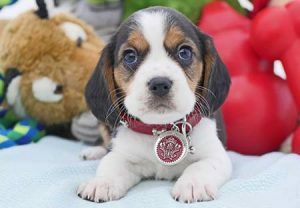 When you are toilet training your Beaglier puppy, hit helps if he is by your side at all times, as this will allow you to spot the signs that he needs to go. Turning in little circles and sniffing the floor is a dead giveaway that your puppy need to go, so have that leash handy at all times. Take him outside once per hour, and if you find that accidents are happening, increase the frequency until those issues stop or he is fully trained. Rewards are an essential part of any type of puppy training, so consider keeping a little bag of treats beside his leash so that you have them with you when he behaves properly. Consistency with the treats is almost as important as being consistent with taking him out, as he will associate rewards with going outside to go to the toilet. If there are times during the day when you cannot observe your puppy, put him somewhere safe and comfortable, such as a crate, until you can be with him again. When you let him out of the crate, take him outside immediately and prompt him to go using a consistent phrase. It is important to remember that there are still going to be accidents, no mater how on the ball you are with the training. Do not punish him for these errors, as this will only set the training backwards. Instead, take him outside as soon as you spot him going indoors and encourage him to go to the toilet outside. You may also consider training him using pee pads, but that is something that we will talk about in depth another time. If you are consistent in your toilet training, he will be consistently going toilet outside in a matter of days.